Elmwood Correctional Facility in Milpitas. 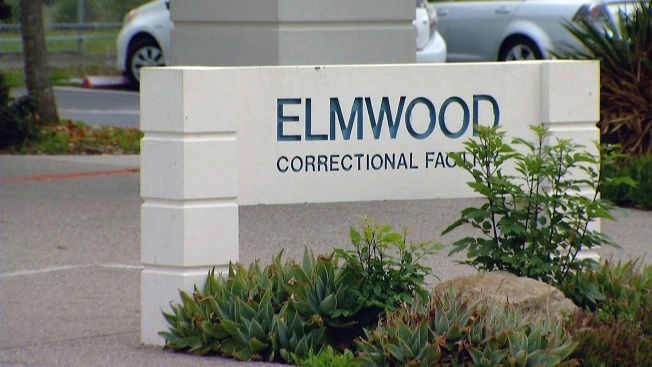 A female inmate at Santa Clara County's Elmwood Correctional Facility in Milpitas died Sunday afternoon at a San Jose hospital, sheriff's officials said Monday. On Friday evening the 40-year-old woman complained to another inmate that she had a headache and felt as if she was going to pass out. Custody staff members were told and after an assessment by the jail's medical staff, the inmate was taken by ambulance to Santa Clara Valley Medical Center in San Jose. While at the hospital on Sunday, the inmate was pronounced dead at 3:02 p.m.
Sheriff's officials said the inmate had no signs of physical trauma. The inmate, whose name will not be released until her family has been notified, had been in jail since Nov. 22, 2016. Sheriff's officials said they are following standard protocol for an in-custody inmate death, which includes but is not limited to deploying sheriff's detectives, notifying the district attorney's office and notifying the county's medical examiner.